The international relief effort is underway in Nepal after the weekend’s 7.8 magnitude earthquake. UNICEF is on the ground to provide humanitarian assistance to the millions of children affected by the disaster. It is feared 100,000 people have been made homeless. World Vision has also launched an emergency appeal for victims of the earthquake. It already has around 200 staff on the ground assessing damage and undertaking search and rescue operations. The Nepalese community in New Zealand is raising funds to support their family and friends. They are hoping to provide aid to some of the worst-hit communities in need of shelter after losing their homes. One of the largest challenges is getting aid to remote villages in the mountainous terrain near the epicentre. 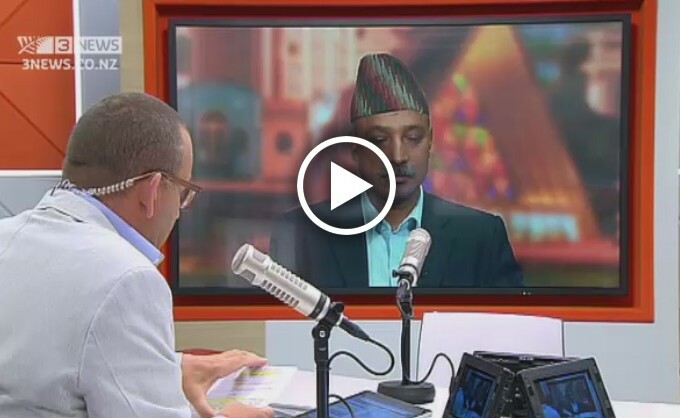 UNICEF Nepal communications officer Rupa Josh, World Vision New Zealand chief executive Chris Clarke and seismic engineer Jitendra Bothara joined Paul Henry on the show to discuss the situation at hand. Watch the video for the full interview with Rupa Joshi, Chris Clarke and Jitendra Bothara.